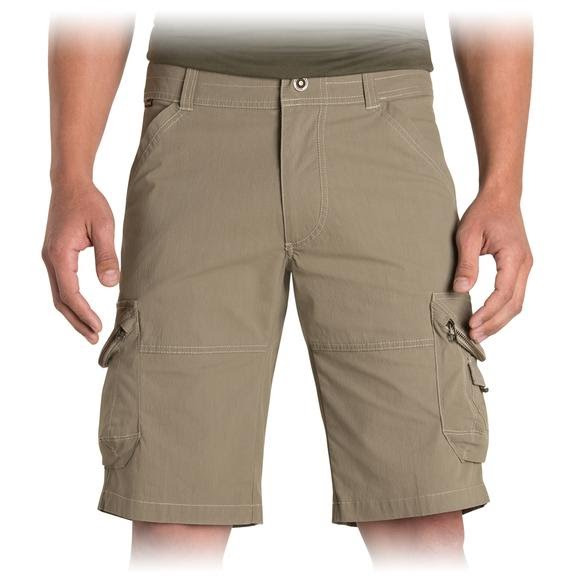 The Kuhl Ambush Cargo Short was made for your inner MacGyver. With nine total pockets, you'll never want for storage, no matter where your next adventure takes you. Featuring our UberKuhl™ Stretch fabric and KuhLair™ vent system, the Ambush Cargo will keep you cool and comfortable. The gusseted crotch and relaxed fit allow full range of movement. Easy care, wash and wear. The Kuhl Ambush Cargo Short was made for your inner MacGyver. With nine total pockets, you&apos;ll never want for storage, no matter where your next adventure takes you. Featuring our UberKuhl™ Stretch fabric and KuhLair™ vent system, the Ambush Cargo will keep you cool and comfortable. The gusseted crotch and relaxed fit allow full range of movement. Easy care, wash and wear.